Some people confuse Veterans Day with Memorial Day. They’re both federal holidays. The latter remembers combat related dead service personnel. The former honors war and peacetime veterans. It largely thanks living ones. It does so disingenuously. 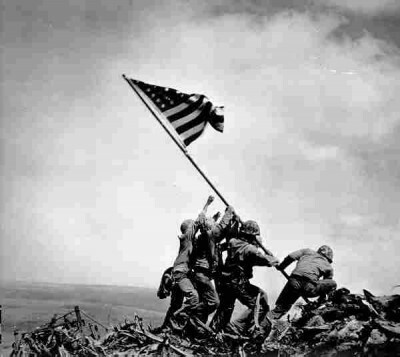 Veterans Day was formerly Armistice Day. It commemorates the war to end all wars. In 1918, guns on both sides largely fell silent. They did so on the 11th hour of the 11th day of 11th month. In 1954, Congress changed its name. Dwight Eisenhower endorsed it. He signed legislation designating November 11 henceforth as Veterans Day. He issued a presidential order. It called on VA officials to form a Veterans Day National Committee. It mandated them to organize and oversee a national remembrance day. Parades and public ceremonies commemorate it. They ignore what’s most important. They glorify wars. America doesn’t wage them for peace. Washington considers it abhorrent. Veterans Day dishonors living and dead veterans. It ignores longstanding US imperial lawlessness. It airbrushes from history decades of what matters most. It includes militarism, raw aggression, permanent wars on humanity, mass killing and destruction, exploiting resources and people, seeking unchallenged global dominance, and creating unspeakable human misery. Depravity defines America’s agenda. War is a national obsession. It’s a longstanding addiction. It’s got nothing to do with national security. It’s not about making the world safe for democracy. Americans are systematically lied to. Young men and women are enlisted on false pretenses. Propaganda glorifies wars in the name of peace. Patriotism is the last refuge of scoundrels. Nations are destroyed to liberate them. Plunder is called economic development. Imperial lawlessness is called humanitarian intervention. Ruthless dominance is called democracy. Monied interests alone benefit. Making the world safe for banksters and other corporate crooks matters most. Youths are cannon fodder. They’re used, abused and ignored. America’s imperial appetite is insatiable. One war follows others. Nations are ravaged and destroyed one at a time or in multiples. Veterans Day should condemn wars. It should feature ways to end them. It should prioritize never again. It should expose America’s real agenda. War raged months longer. Ending one leads to others. A destructive cycle of violence continues. Remembrance should be contrition. It should pledge peace. It should honor anti-war activism. It should turn swords into ploughshares. It should back rhetoric with policy. It should combine Veterans and Memorial Days. It should change them to Peace Day. It should pledge never again and mean it. On November 9, Obama’s weekly address ignored what’s matters most. He didn’t surprise. He lied like he always does. He’s a serial liar. He failed to say Korea, Vietnam, and all other US post-WW II wars were lawless. They were premeditated aggression. They’re responsible for crimes of war, against humanity, genocide, and unspeakable human suffering. No one involved in them has reason to be proud. Past and present administration and Pentagon officials are war criminals. So are complicit congressional members and bureaucrats. He “made sure” it wouldn’t happen, he said. He lied. Unemployment is at Depression era levels. Labor Department figures are manipulated. They’re fake. Most jobs created don’t pay enough to live on. Millions struggle to get by. So do vets. The National Coalition for Homeless Veterans estimates around 63,000 homeless veterans on any given night. Over the course of a year, it says, double that number experience homelessness. Numbers are increasing, it adds. Uncaring government officials bear full responsibility. Services provided are meager at best. Nothing is done to address unemployment. US resources go for war. Helping returning vets doesn’t matter. They’re replaced with new recruits sent off to fight. They’re lied to about reasons why. They’re largely ignored on returning home. A previous article addressed record numbers of US military and veterans suicides. Most people don’t know. Little gets reported. Obama ignores it. He’s preoccupied with waging wars. He’s got others in mind. He’s mindless about shocking numbers of active duty personnel and vets taking their own lives. Daily stress is bad enough. Combat exacerbates it. It’s intolerable for many. America consumes its own. Official numbers understate the problem. It’s huge. Independent reports say up to half of Afghan and Iraq vets have emotional and/or physical combat injuries. They’ll never be the same again. They’re traumatized. Many can’t cope. Their suffering goes largely unnoticed. Many needing help don’t get it. Left untreated, things worsen. Able-bodied youths become physically and emotionally crippled. War is hell and then some. Horrifying flashbacks persist. PTSD prevents normal functioning. Artificial limbs aren’t like nature’s. Damaged emotions aren’t made whole. Broken psyches aren’t easily repaired. Shattered lives stay that way. Shocking suicide numbers explain best. So do Depression level numbers of poverty, unemployment, homelessness, hunger, and left on their own vets. Despair defines their condition. They suffer out of sight and mind. They die the same way. America treats its own with disdain. Countless numbers of vets are at risk. Suicide levels may increase. Advancing America’s imperium matters most. All federal holidays reflect hypocrisy. Commemorations hide vital truths. America’s dark side stays out of sight and mind. All politicians lie. Obama exceeds the worst of others. He prioritizes war on humanity and then some. He sanitizes his real agenda. Don’t expect him to explain.